Iguazu Falls or Iguaçu Falls, depending on which side of the gigantic South American waterfalls you are referring to, are not one of the natural wonders of the world without very good reason. These falls are taller and twice as wide as the famous Niagara Falls, with three times its flow capacity. If you are visiting South America, this UNESCO world heritage site should be at the top of your list! 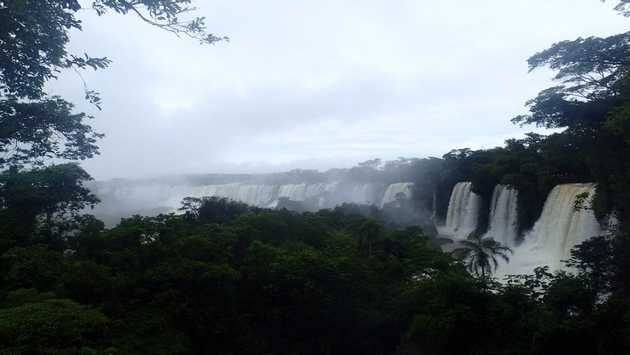 Situated at the tri-border of Brazil, Paraguay and Argentina, it is recommended that you visit the National Parks in both Argentina and Brazil to experience the two-mile chain of jaw-dropping waterfall cascades in all their glory. The most spectacular waterfalls in the world can be reached easily by plane or bus. The closest international airport to Iguaçu Falls on the Brazilian side is Foz do Iguaçu International Airport, with flights to the capitals of Sao Paulo in Brazil and Lima in Peru. 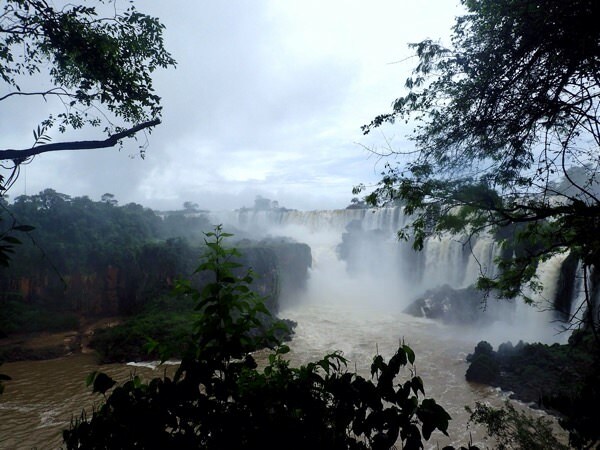 On the Argentinian side, the closest airport to Iguazu Falls is Iguazu International Airport and is just a 90-minute connection flight with the capital of the country, Buenos Aires. Long distance coaches operate from all major cities in the area including Rio de Janeiro and Florianópolis in Brazil, Buenos Aires and Córdoba in Argentina, Montevideo in Uruguay and Asunción in Paraguay. Currently, American, Canadian and Australian visitors all need a visa to enter Brazil and should obtain one in advance from the Brazilian Consulate in their home states. European citizens can visit as a tourist without a visa for up to 90 days. Argentina has at this time suspended the $160 reciprocity fee previously required of American citizens, allowing 90-day tourist entry without a visa akin to European citizen allowance. Always check up to date visa requirements with your Brazilian and Argentinian embassy prior to travel. Always check immunization requirements prior to travel also. You are likely to require proof a Yellow Fever vaccination for onward travel to many other countries after visiting Brazil. There are two luxury hotels within walking distance of the entrances to each National Park, on the Argentinian side there is The Sheraton and on the Brazilian side the Belmond Hotel das Cataras. Due to their advantageous locations they are, however, on the pricey side at around $300 per night. Cheaper accommodation can be found in the nearest towns of Puerto Iguazu and Foz do Iguaçu for as little as $10 per night just 20 minutes away from each respective National Park entrance. The easiest and most flexible way to get around is to hire a car. These can be arranged at the airport or through your hotel. If you are visiting both sides of the waterfalls be sure to inform the hire company as they will need to arrange insurance for driving in both countries. There are however, efficient and easy to use public buses as a cheaper option. They run every 30-minutes and the cost of a one-way ticket is under $1. Another option is to arrange a shared mini-van via your hotel or hostel. Even if just visiting Brazil from Argentina for the day, or vice versa to see the respective waterfalls, you will still need to pass through immigration. The buses and mini-vans will stop automatically for you to do this at the border. Both sides are very different. In Argentina you can get closer to the waterfalls allowing you to appreciate the vastness of them. A walkway enables you to walk right out and literally look over the edge of the biggest waterfall, Garganta del Diablo, which translates as The Devil’s Throat. In Brazil the scenery is thought to be unrivaled by many, on this side you can take in the perspective of just how many waterfalls make up this vast explosion of power as far as the eye can see. The Argentinian Iguazu Falls National Park has 5 trails to keep you busy and a couple of trains running between the major viewing points, you will be given a map on entry. There is a fair amount of walking involved to see the most of what there is on offer here. Iguaçu Falls in the Brazilian National Park can be visited in around 4 hours and there is less walking involved with a panoramic-view elevator taking you up to the highest viewing point. 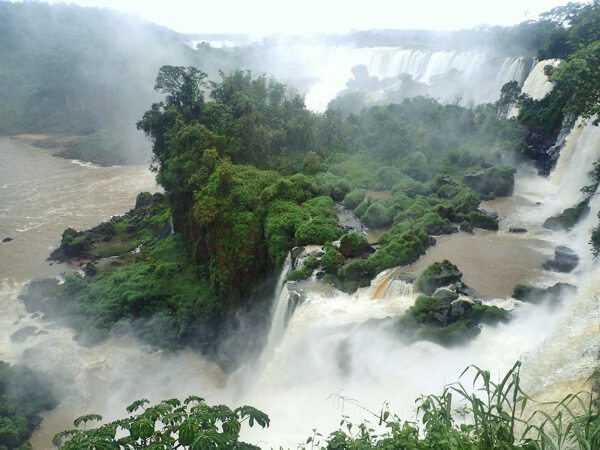 However, if you have time you should take a trip down the Parana river on one of the boat rides on this side to witness the sheer power and enormity of the waterfalls up close. White water rafting and abseiling activities are also available and should be arranged beforehand. Many tour companies in the towns of Puerto Iguazu and Foz du Iguaçu offer packages that are worth checking out if you are interested in this. There isn’t much else to do outside of the National Parks but you should spend at least 2 days here, a day at each side. 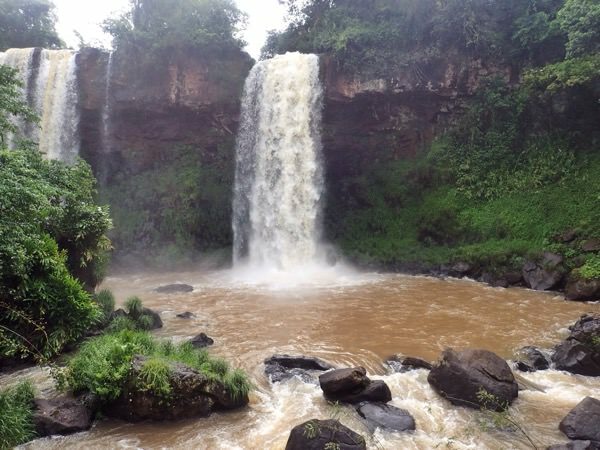 You will need good waterproof clothes and camera protection; it gets extremely wet at some of the viewing points because you are so close to the waterfalls. Trekking sandals are a good footwear option. If you are planning to go on one of the boats be prepared that a raincoat will not be enough. You will still get soaked. Many choose just to wear swimwear. Be sure to take a completely waterproof bag to keep your possessions safe. Plan ahead and have both Real and Argentinian Pesos with you. There are notoriously poor exchange rates and the Argentinian National Park only accepts Argentinian Pesos. The entrance fee to the Brazilian side is around $57 and the entrance fee on the Argentinian side is around $40, a second day is discounted by 50 percent. Whether you’re hiring a car and staying in one of the fancy hotels or traveling with a backpack in a budget hostel and using public transport, there are options for everyone to visit the most spectacular waterfalls in the world.